Don't Give Up on Healthy Snacking! Yes, the first half of the school is almost over - can you believe it??? It is going so fast and I can't believe it is November already! 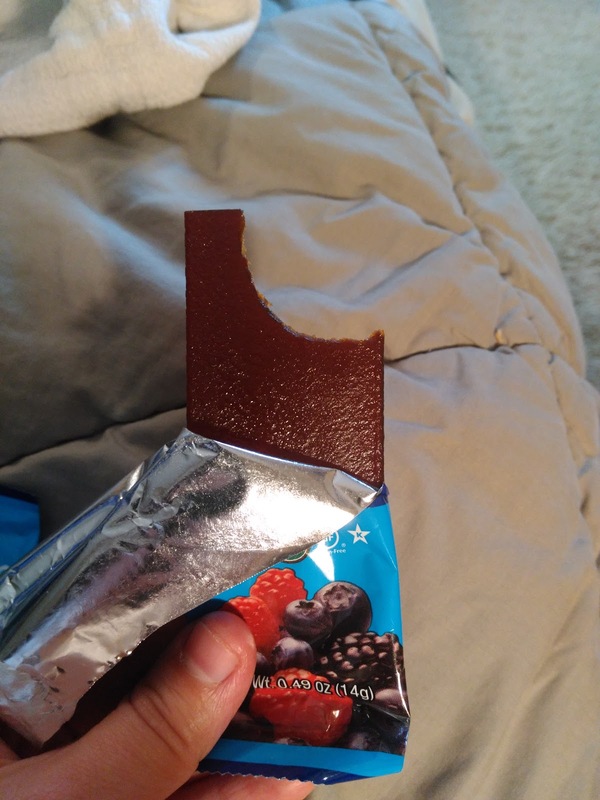 How is the lunch and snack packing going? Are you running out of time, energy and money to pack healthy snacks and lunches for your kids? Let me give you a boost, rejuvenate and get you excited for healthy snacks again! 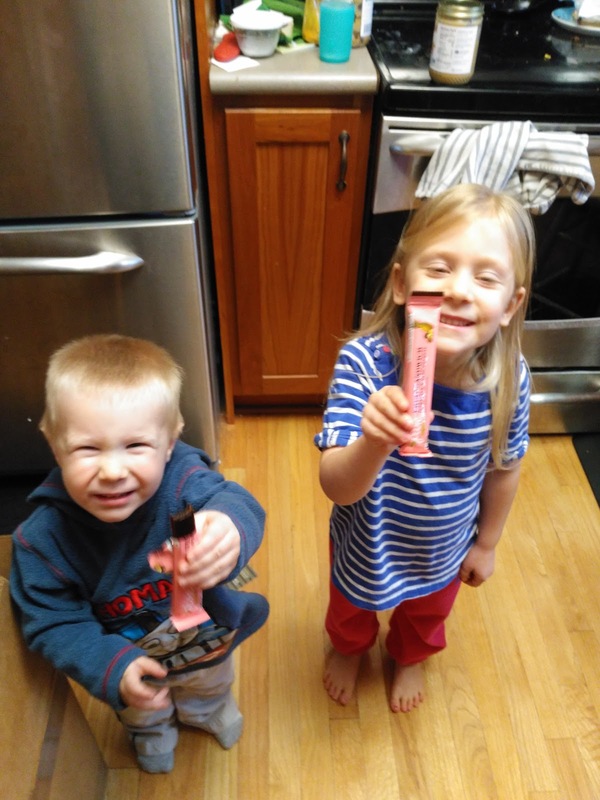 Check out these two great natural and healthy snack ideas that will make you excited to pack those lunch boxes again and make your children excited to eat healthy again! Pure Organic’s Fruit Sandwiches and Fruit & Veggie Strips are great options available for healthy school lunches and snacks. These are some of my children's favorite snacks (and mine too if I am honest!) and so healthy too! Unlike the traditional chemical, sugar-filled treats, Pure’s Sandwiches and Strips are made with no added cane syrups, artificial flavors or colors. Plus, they are made in a peanut-free facility, so parents don’t need to worry about their kids who have nut allergies. Pure Organic’s Fruit Sandwiches are offered in Pineapple & Passionfruit and Strawberry & Banana. The Fruit & Veggie Strips are offered in Strawberry Apple and Wildberry Apple. 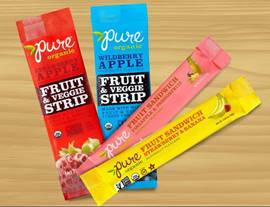 You can learn more about Pure’s Fruit Sandwiches and Fruit & Veggie Strips here. Each are made with organic, non-GMO, vegan fruit and vegetable puree, and made in nut-free facility. I love that the Fruit & Veggie Strips come with hidden veggies that my children don't even realize they are eating! Plus, these are so great for eating on the go, throwing in my purse for a healthy snack and are easy to eat for all ages! I highly recommend these Pure Sandwiches and Strips!!! They are tasty and healthy for the whole family! You can purchase the Sandwiches and Strips from the Pure online shop. And for the lovers of a mix of fruit and salty, try out the Sunkist® Snacks! 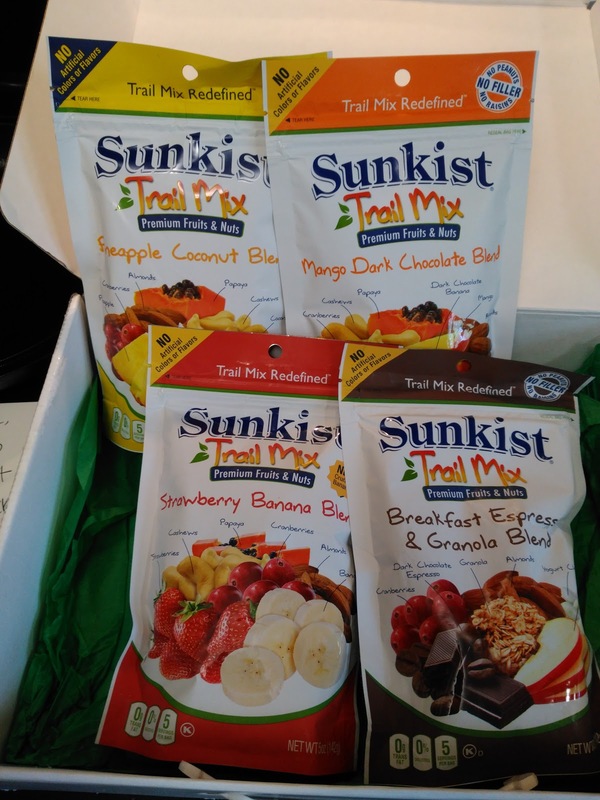 Sunkist Snacks®, the popular better-for-you snack food brand has delicious Sunkist® Fruit Lover’s Trail Mix™ and Sunkist Fruit Chips® products. The Sunkist® Fruit Lover’s Trail Mix™ is made with an exotic blend of fruit and tree nuts. The delicious trail mix flavors include Strawberry Banana Blend, Blueberry Apple Blend, Pineapple Coconut Blend, Mango Dark Chocolate Blend, and Breakfast Espresso & Granola Blend. My children LOVED snacking on these and they are great flavors for adults too! The Fruit Chips® are a freeze-dried snack bursting with flavor made with 100% pure fruit and no added sugar. The Fruit Chips® flavors include Strawberry, Banana and Apple. I love that there is no sugar added to these dried fruit snacks. They are so sweet already and didn't need any extra sugar! These are so great for sending in the kid's lunchboxes and eating on the go as well! 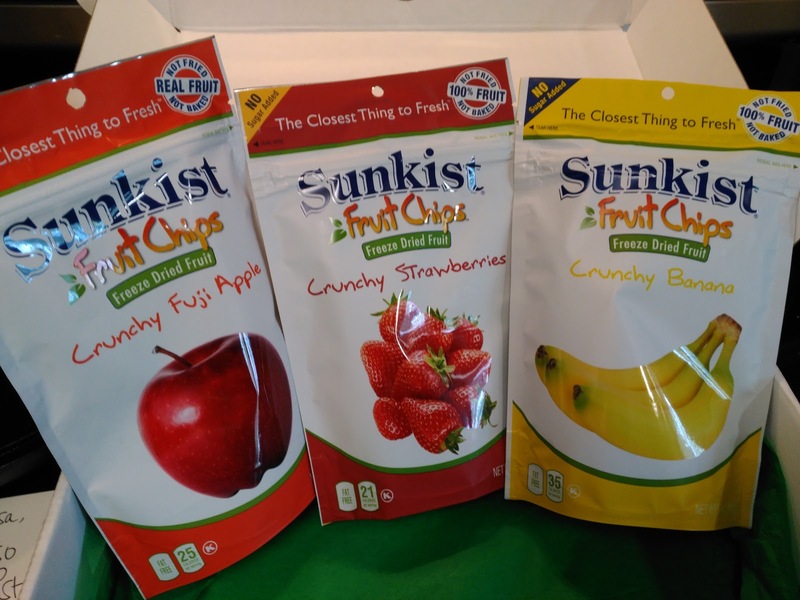 You can purchase Sunkist Snacks from the Sunkist online store or at your local retailer.